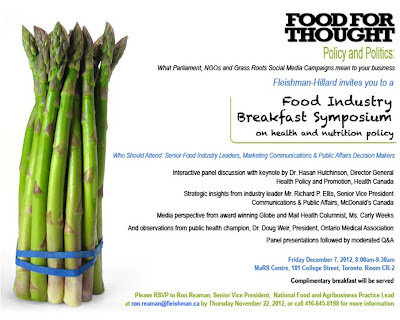 A little over a month ago I was invited by the Ontario Medical Association to give a talk at a food industry breakfast. 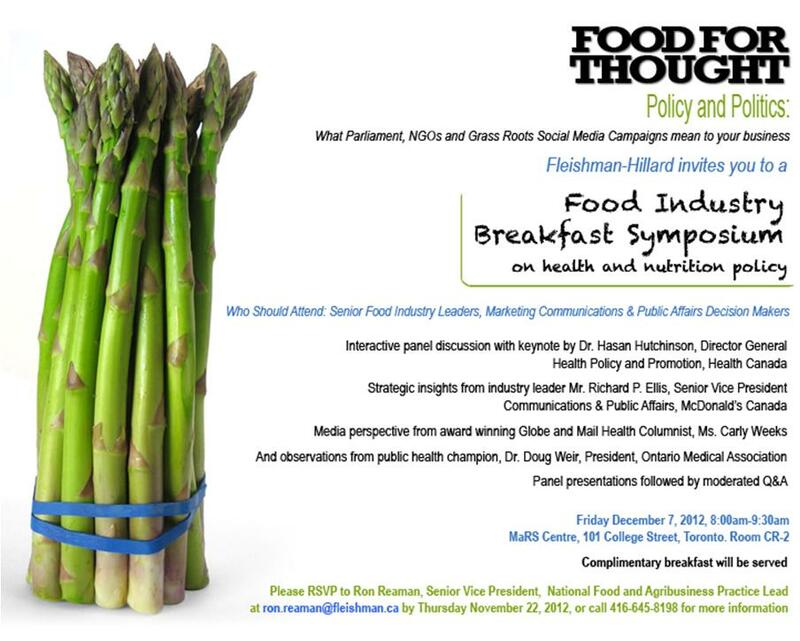 I was asked to speak about what I thought the food industry could do to help further public health. 3 days prior to the talk, after my flights and hotel were booked, after I cancelled a day of patients, I was dis-invited. Apparently the conference organizer, Ron Reaman, a Senior VP of the international PR and communications firm Fleishman-Hillard, decided that it would be better if I didn't come. Why he decided that I can't tell you because despite being a Senior VP at an actual communications firm, he didn't do me the courtesy of communicating to me his concerns or offering me an apology - instead he had the Ontario Medical Association simply tell me that I was no longer welcome. The good news is the internet's a much bigger venue than that small breakfast symposium and given I'd already put together my slide set, I figured why not post it online. Online I don't have a time keeper and given I'm not speaking solely to the food industry, I don't need to be as gentle with my messaging as I'd planned. Also good news is who I'll now be able to reach. My blog is read by policy makers, public health authorities, chief medical officers, professors, physicians/dietitians and other allied health professionals, journalists and nutrition bloggers the world over - folks that wouldn't have been attending that small, intimate, food industry sponsored breakfast. You'd almost think Mr. Reaman and Fleishman-Hillard were working for me and not for the food industry as uninviting me will enable me to communicate my message far further than I ever would have done otherwise. So here's my talk. It's about what the food industry could do to improve public health, why they're not going to, and what we can do about it. But before you click it, a quick request - I want you to share it by means of every socially networked channel and email contact you have (any Redittors here? ), because if Fleishman-Hillard the communications firm hired by the food industry to help cultivate good Big Food PR didn't want it heard, I figure it probably ought to get spread.